Herbalists and healers embody African culture, and their role in South Africa is still vitally important for many people despite the challenges traditional healers face, writes RAâ€™EESA PATHER. In a world where modern medicine is celebrated, city-goers and Western medical enthusiasts remain skeptical about traditional medicine and its ability to heal. In South Africa, natural medicine is sacred among healers and their patients. Travelling throughLanga, Gugulethu and Khayelitsha, I saw one of African cultureâ€™s oldest traditions endure along bustling streets filled with informal traders. According to the World Health Organisation, 80% of people living in certain African countries use traditional medicine as their primary source of healthcare. The South African Medical Journal expanded on this, listing South Africa as one of those nations. Last year, theMail & Guardian teamed up with GroundUp and found that these claims were â€œvastly exaggeratedâ€ as less than 2% of South Africans visit sangomas before Western-educated doctors. Although traditional healers are not a primary source of healthcare for the majority of South Africans, they still provide a secondary source of care that is both spiritual and medicinal. Healers are divided into two spheres: the herbalist (inyanga) and the healer (sangoma). Traditionally, inyangas are known to source and provide herbs to sangomas and patients in need of medicine. Sangomas are revered for their spiritual bond to the ancestors they call on for advice and answers. 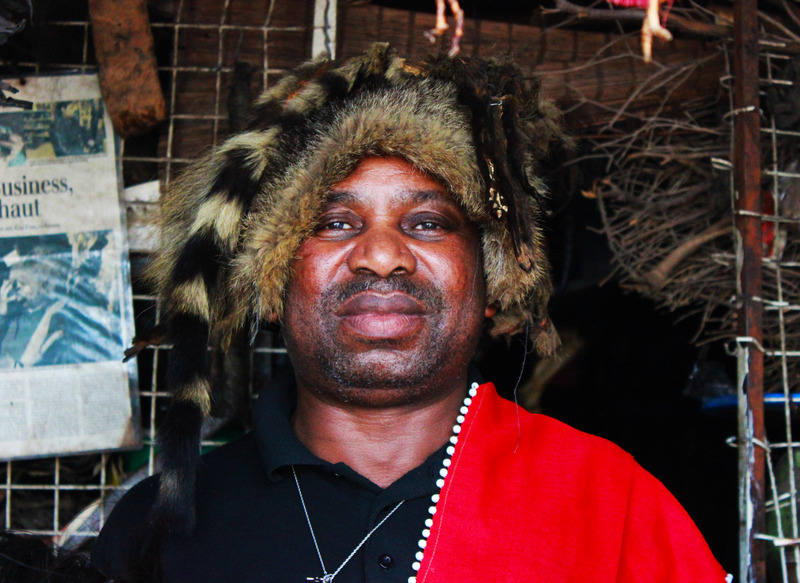 Calling on ancestral spirits to heal physical ailments or misfortunes may seem remarkably fantastical in a globalised, technological age, but for sangomas and inyangas it is a lineage that preserves the origins of their culture and society. 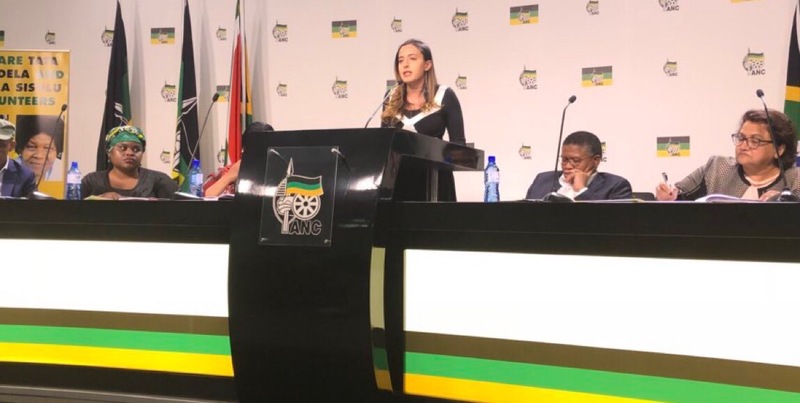 â€œMy father was a sangoma, but I learnt from the ancestors. The healing we do is holy, because it is from the ancestors. You see, when someone is getting sick, they come to us and the ancestors tell us what to do,â€ said Vuyo, a sangoma living in Khayelitsha. I found Vuyo standing at an inyanga stall where his brother sells herbs. 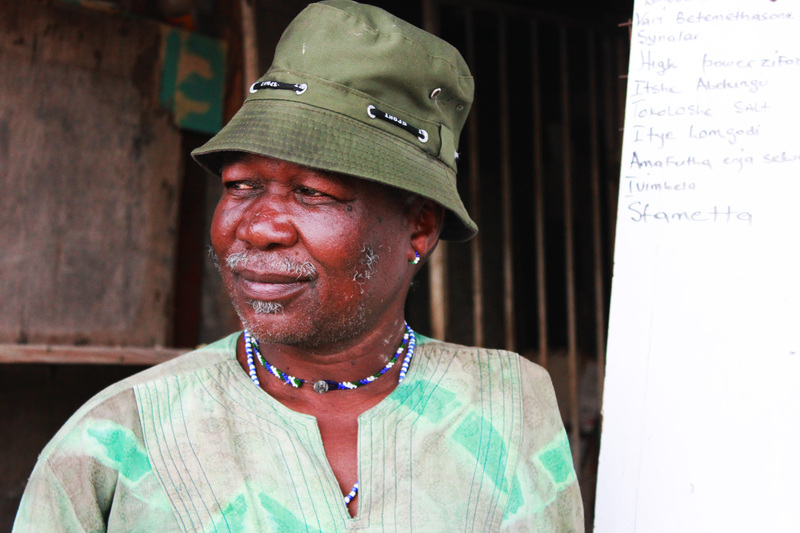 He spoke emphatically about his craft, enlivening his religious heritage through his position as a traditional healer. For herbalists, healing is empowered by divine natural creation. â€œItâ€™s important to us. The herbs help people because they are natural, they come from the ground. I see how it helps them,â€ explained Zimkita Jonginamba, an inyanga from Langa. Sangomas treat a variety of ailments such as aching bones, fevers, and illnesses. The majority of their patients, however, seek remedies for misfortunes which are believed to be caused by negative spirits in the environment. Many people visit sangomas to relieve issues around money, bad luck, romance, and pregnancy. 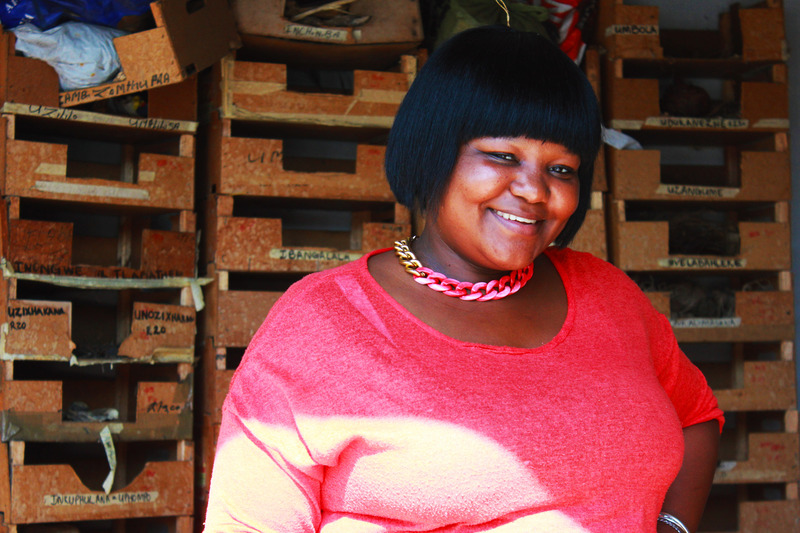 Mgolo treats patients from a cluttered shack in the township. Animal hides hang from the ceiling while a lone candle is lit on top of a crate which serves as a table. Although traditional healing has become legally recognised, it is far removed from the clinical organisation of modern medical facilities. The legalisation of natural healing has, however, helped the government to merge aspects of traditional medicine into Western health systems. â€œWe are learning now about HIV/AIDS. The government tells doctors to come here and teach us about this disease so we know it better,â€ Mogolo said. 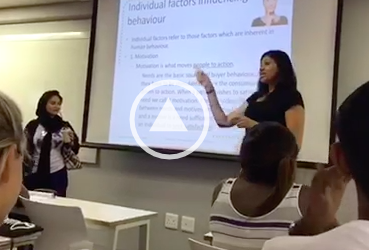 Traditional healers now have access to clinics, such as Groote Schuur Hospital, where they can collaborate with Western-trained doctors. Over the last few years, traditional healing has become tainted by scam artists who pose as healers in search of easy cash. Authentic healers are now required to carry a permit in order to treat patients, but not all healers have been made aware of the system. â€œWe didnâ€™t know about the partnership with Western medicine. We didn’t know about the permits so some of us canâ€™t practise. 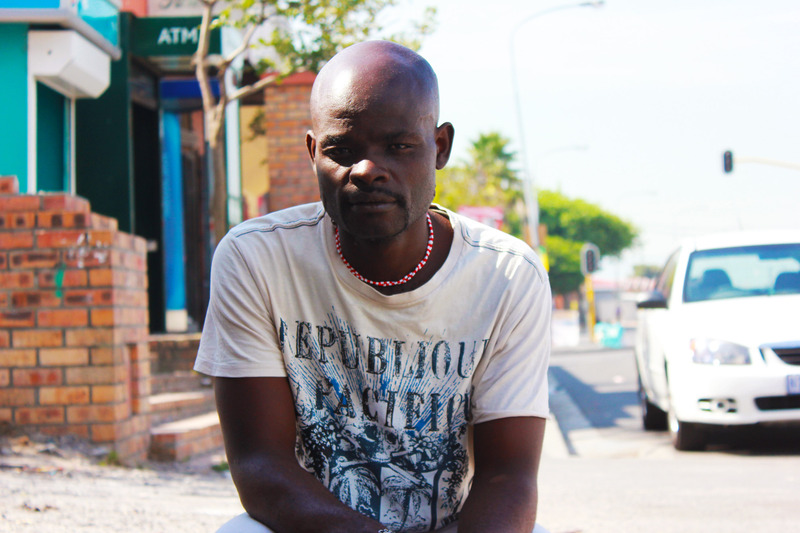 Some people have benefited, but others have not,â€ said Syabonga Tasana, a sangoma in Gugulethu. Tasanaâ€™s main concern is the natural environment. I saw him seated at a herbal vendor in a desolate road, and it is the herbs that he believes needs protection from the government. â€œI grew up with herbs, itâ€™s what us as an African people know. They [the government] mustn’t allow the people to take so much. I just want them to protect nature and limit how much people take,â€ Tasana earnestly explained. Traditional healing is more than just a profession or job for the people who live it. Some healers are aware of the touristy attention their craft draws, but many are sincere in their efforts to preserve a relic of African culture. In a modern information age fuelled by machines and wifi, traditional healing is a remnant of the history of African people and a traditional way of life.